Asian pears are known by many names, including: Chinese, Japanese, Oriental, sand and apple pear. There is confusion with the name “apple pear,” as it may lead people to believe that the Asian pear is a cross between apples and pears. Most cultivars of Asian pears do resemble apples in that they have fruit that are round and have a crunchy texture. The resemblance of these pears and apples, however, stops there. There are also several differences between Asian pears and the more common European pear. Asian pears reach optimum quality when allowed to ripen on the tree, similar to apples and peaches. European pears are usually harvested in a green stage and allowed to ripen at room temperature. Asian pears will be crisp and juicy, with some tartness, especially near the core. European pears will be soft and juicy, with a sweeter, more mellow taste. Many Asian pear cultivars are available. The Japanese cultivars tend to be more round in shape, while the Chinese cultivars are more oval or pyriform (pear-shaped). All Asian pear cultivars should be considered self-incompatible, which means you need to plant another Asian pear cultivar as a companion for pollination purposes. Several cultivars are cross-incompatible, meaning they will not pollinate each other. Be sure the cultivars you are planting will cross-pollinate and that their flowering periods overlap. Chinese cultivars generally bloom a week or more before Japanese cultivars and are best pollinated with a Chinese cultivar. Plant Asian pears in deep, well-drained soils in a location as frost-free as possible. Avoid sites that are prone to late spring frosts, or provide frost protection where late frosts are likely. The chilling requirement of Asian pears is thought to be in the range of 900 to 1000 hours, although some studies show that certain cultivars may do well at less than this amount. The chilling requirement should not be a problem in most areas of South Carolina. Plant trees at least 10 to 15 feet apart in either fall or early spring. Mature trees can reach heights of more than 20 feet. There does not appear to be any reason why Asian pears cannot be trained to a central leader system similar to European pear and apple trees. However, development of multiple secondary and tertiary scaffolds is important in preventing tree death from fire blight. Pears do best in soils with a pH of 5.9 to 6.5. Have the soil tested before planting and follow the recommendations. Pear trees should be fertilized annually, using a split application. Apply a half to a third cup of 10-10-10 fertilizer per year of tree age with a maximum application of 8 cups per tree. Half of the amount should be applied before growth begins and the other after fruit set. Broadcast each application over an area that corresponds with the drip line of the tree. If fruit set is poor, do not apply the second half of the application. Too much nitrogen may encourage shoot infection by fire blight. If the trees are heavily pruned, reduce the amount of fertilizer applied in relation to the severity of pruning. Heavily pruned trees most likely will not need fertilizer for a year or two. Also, if the pear trees make too much vegetative growth, reduce the rate of fertilization for the next year. Shoot growth on bearing pear trees should average 8 to 12 inches annually. On young trees, a good portion of the fruit is borne at or near the tips of 1-year-old shoots. As the tree matures, most of the fruit is produced on the scaffold branches. These spurs have a productive life of about 10 years. Pruning should be done to remove about 10 percent of these terminal spurs every year. Asian pears are often hand-thinned twice during the early growing season. The home grower may choose to thin only once. This should be done 14 to 40 days after petal fall. One fruitlet should be left on every other spur cluster or about 6 inches between fruits. A limiting factor to good fruit production with Asian pears is that it sets too many fruit. 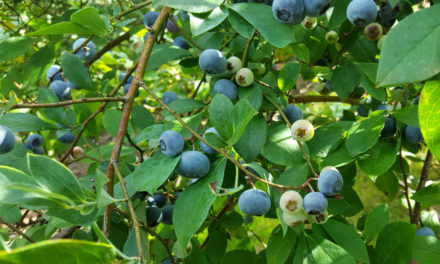 Heavy fruit thinning is essential to encourage large fruit and prevent limb breakage. 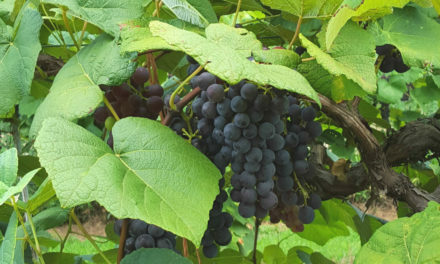 This should be done within six to eight weeks after flowering when the fruit is dime-sized. For more information on pruning and training pear trees, refer to HGIC 1351, Pruning & Training Apple & Pear Trees. Fire blight is the greatest problem limiting the production of Asian pears. It is important to select resistant varieties, adopt good sanitary measures and avoid excess nitrogen fertilization to help reduce this disease. Prune infected branches 18 inches below the affected area and burn or bury all infected material. Clean pruning tools between cuts with a dilute solution of household bleach (one part bleach to nine parts water). Remove blighted limbs during the dormant season. For more information on fire blight, refer to HGIC 2208, Fire Blight of Fruit Trees. Another bacterial disease, Pseudomonas shoot blight, does occur in South Carolina and can be confused with fire blight. Similar control practices as with fire blight are recommended. Several varieties of Asian pears are being evaluated for disease resistance in South Carolina, but data are incomplete. Those that show some fire blight resistance are Shinko (best), Shin Li and Seuri. Twentieth Century and Hosui are highly susceptible. Hosui is a pollinator for Shinko, however, and is therefore necessary. Coddling moth and aphids are the most common insect problems in South Carolina.